Explanation: What does the largest storm system ever recorded look like close-up? 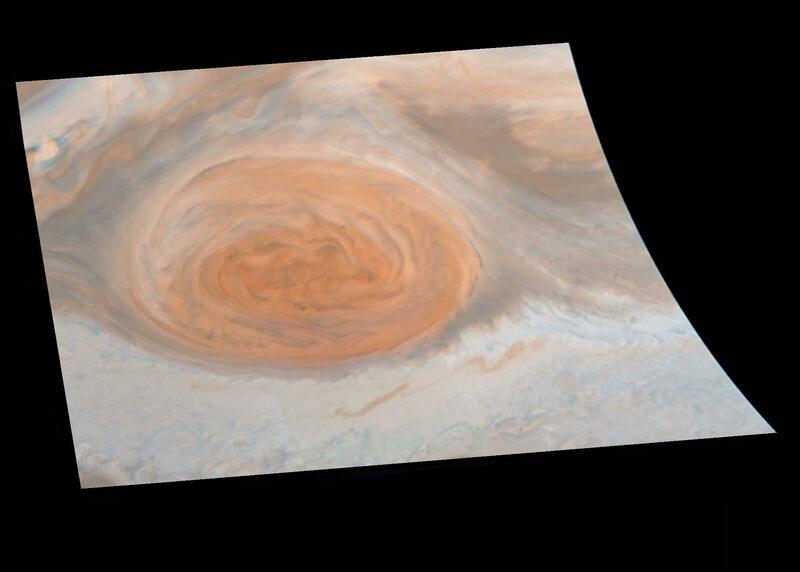 This storm system is Jupiter's Great Red Spot and it was captured recently in detail by the robot spacecraft Galileo now in orbit around Jupiter. Using real images from three colour filters, the Galileo team was able to compute what a person would see if able to float just above this ancient rotating cloud system. But don't get too close - remember that Jupiter's Great Red Spot is a cold, high pressure area more than twice as wide as planet Earth.